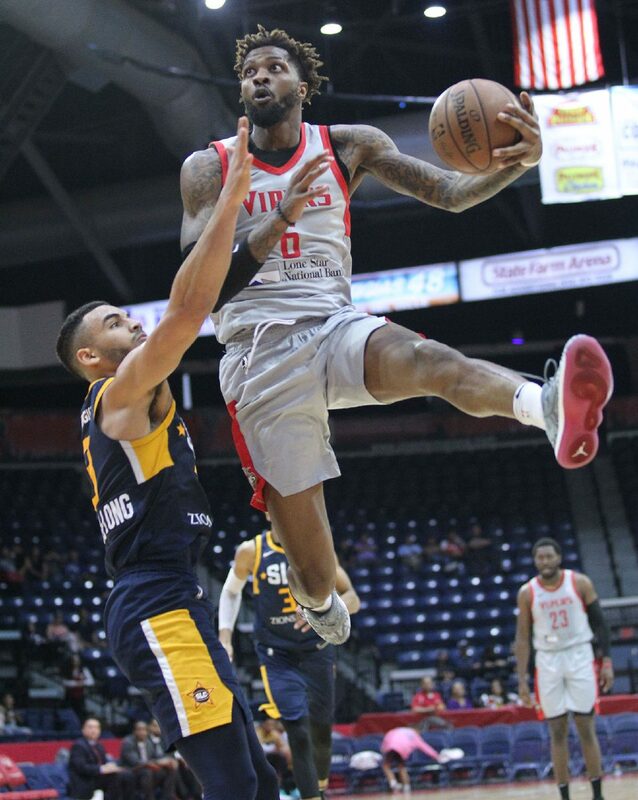 EDINBURG — No G League franchise holds a better all-time winning percentage than the RGV Vipers’ .573. The Vipers are one of only three organizations with a pair of G League championships, and RGV is the only team to play in four of the last eight G League finals or reach the playoffs in seven of the past nine years. 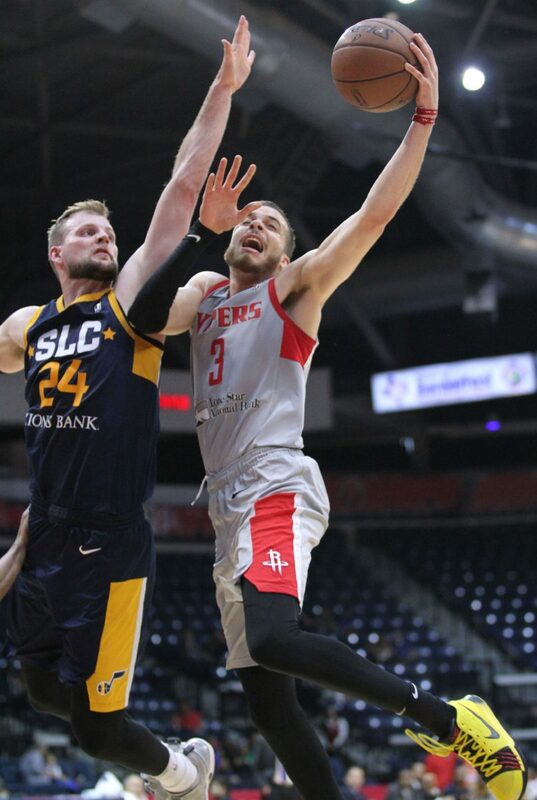 The Vipers are looking to add another chapter to that postseason history this season, beginning when they host the Texas Legends in the opening round of the G League playoffs at 7 p.m. Friday at State Farm Arena in Hidalgo. Under the direction of Houston Rockets general manger Daryl Morey, the Vipers have become known as a free-flowing, high-scoring group that flies up and down the court. RGV has ranked as the G League’s most efficient offensive team in four of the past six seasons — including this year and last — and finished third during the other two. RGV’s high-octane attack is most recognizable for unleashing shots from long range, as the Vipers have ranked in the top six in the league in 3-point attempts during each of the past six seasons. But statistically speaking, the offense is even more grounded in scoring at the basket. RGV has led the league in shot attempts inside of 5 feet for seven consecutive years, and typically by a healthy margin. This season, the Vipers average 46.4 shots per game from that distance, with no other team higher than 41.0. Offensive rebounding is another key tenet of the Vipers attack, as the team has led the G League in offensive rebound percentage for the past four years. RGV’s system mandates taking few, if any, midrange shots, as the Vipers consistently rank near the bottom of the league in shots beyond 5 feet but inside the 3-point arc. The system also has its downsides, particularly on defense. RGV has ranked in the bottom five in the G League in defensive efficiency during each of the past six seasons. Defensive struggles can be a natural byproduct of attacking the offensive glass and looking for corner 3-pointers, but Brase said those concerns should be offset by a focus on getting the Vipers’ guards back on defense. Instead, he pointed to the team’s turnover ratio, which is the fourth-highest in the league this season, to explain why RGV ranks third from last in defensive efficiency. RGV finished the regular season 29-21 to earn the No. 4 seed in the Western Conference and the right to host No. 5 seed Texas (29-21) in the G League’s new six-team, single-elimination playoff format. The Vipers topped the Legends in three of the their four previous meetings this season, most recently earning a 115-104 road win on March 23.